It's Facebook Fridays! for September 25, 2015. It's a time for purification and healing! 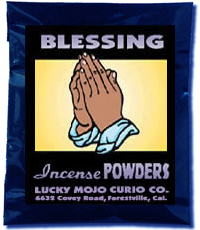 The Lucky Mojo Curio Company is hosting a random drawing to give away 7 Blessing Spiritual Supply packages. 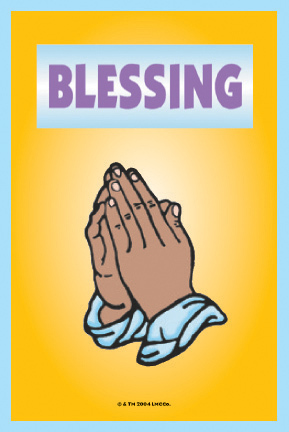 This week the prizes are 1 Blessing Power Pack consisting of a hand-made bottle of Lucky Mojo Blessing Oil, a foil pack of Blessing Bath Crystals, Blessing Incense Powders, and Blessing Sachet Powders; 2 dressed and blessed Blessing Vigil Candles; and 4 bottles of Blessing Dressing Oil. First thing tomorrow morning, we will select SEVEN winners at random, announce their names here, and ask them to message this Facebook Page with their mailing addresses, so we can send them their FREE Blessing products. We have a winner! In fact, we have 7 lucky winners! Our Facebook Fridays! winners for September 25, 2015 are: Tony Mansker, Rachel Judkins, Renee Ackworth, Quiana L. Johnson-Stewie, Maire Irwin, John Reha, and Karen Shaw.